It appears Los Angeles is finally on the verge of overhauling its medical cannabis policies, a long-overdue step that could help ease pressure on marijuana businesses and stabilize the industry locally. Exactly what shape the overhaul will take – and how it will affect existing dispensaries – is still up in the air, though. And no matter what happens, any changes will be contentious. – The more restrictive measure – which qualified for the May ballot this week – would force hundreds of LA dispensaries to close. Only the 100 or so centers that opened before mid-September 2007 could continue operating going forward, and they would be subject to a host of new regulations covering everything from business hours to background checks. Why 2007? Because that’s when the city first tried to rein in the industry via a moratorium on new dispensaries. That strategy didn’t work because of lax enforcement and legal challenges, and today there are an estimated 700 to 1,000 dispensaries operating in the city. The measure has a fair share of backers – including the LA chapter of Americans for Safe Access, a powerful union and (to no one’s surprise) dispensary owners who launched their centers before the fall of 2007. They say turning back the clock five years represents a solid compromise that will ease concerns of city officials that the industry is out of control yet still allow dispensaries to exist. Opponents, however, argue that the proposal is unfair to the hundreds of responsible operators that opened in the past few years. – The other measure, which has also qualified for the May ballot, is much more friendly to the MMJ industry as a whole. It would allow most existing LA dispensaries to remain open, provided they obtain permits and abide by new regulations and restrictions on location, hours and security. Backers include patients and owners/employees of dispensaries that opened in recent years, who have organized under the group Angelenos for Safe Access. Opponents, however, say this initiative doesn’t go far enough to clean up LA’s medical marijuana industry, arguing that the current number of dispensaries is way too high. 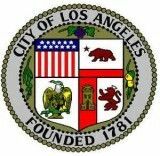 The LA City Council can now adopt one of measures, hold a special election or place them on the general election ballot in May. Either solution is better than the alternative: a complete ban on dispensaries, which the city passed – and then rescinded – last year. Medical cannabis advocates fear local officials could try for a ban again in the absence of changes to the law, so they’re putting a lot of weight on the two measures in front of city council.